Looking for holiday gift ideas? 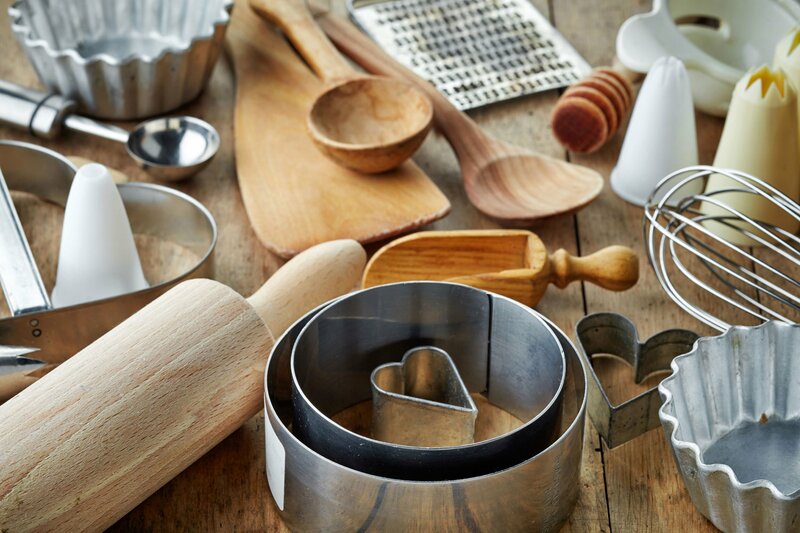 Check out our gift guide to get fabulous options that home cooks, foodies, food revolutionaries, health fanatics, and your planet will love. The look on the face of a delighted gift recipient is priceless. But giving good gifts isn’t always easy. And if you want to give things people will actually use — and that will support their health and the planet — your task can get even more difficult. But finding the perfect gift for the people you care about can be fulfilling. And recipients are sure to be thankful. If you want some excellent holiday gift ideas, here are some of our favorite products. You’ll find high-quality, ethical, health-conscious choices (and some causes we support, too). For the people who love to cook, are trying to eat at home more, or want to eat healthier, here are some excellent ideas for all price ranges. Give the gift of enjoyable, effortless chopping with this high-quality, seven-piece set. These knives will save time in the kitchen and are the most essential ones to have. This set includes a chef’s knife (the go-to tool for more than 90% of daily kitchen tasks), a parer, a utility, and a bread knife. It also comes with a wood block for easy storage, kitchen shears, and a knife-sharpening steel. Wusthof knives are comfortable to hold — and are known for their outstanding sharpness. This is a gift that could last a lifetime. Get this top-notch knife set here. What’s the best way to store food? Whether it’s for leftovers, lunches, or snacks, reusable, non-plastic containers are a great way to go — for the environment and for your health. Stainless steel and glass storage containers both make excellent and affordable gifts that recipients will appreciate again and again. For durability, food safety, and versatility, stainless steel food storage containers are a smart option. Because they’re light and portable, they’re great for transporting food. The ones from Life Without Plastic are some of the best. They’re leak-proof and air-tight. And they fit just about every need. Complete with clips to keep the lids secure, these storage containers are long-lasting, and children can open them easily. (Tip: The lids shouldn’t go in the dishwasher because heat can damage the silicone seal.) Get great stainless steel containers from Life Without Plastic here. Storing food in glass containers keeps ingredients and meals fresh. And you can see exactly what’s available to eat. Pyrex containers are highly affordable for their value. They’re made of non-porous glass that won’t absorb food odors, flavors, or stains. The containers are also oven, microwave, refrigerator, freezer, and dishwasher safe. However, the lids are plastic and are not microwave or dishwasher-safe. This 10-piece Pyrex set makes a great gift for someone who is starting a new kitchen or needs to upgrade their food storage options. It includes two 2-cup round containers, one 3½-cup rectangular container, one 4-cup round, and one 6-cup rectangular storage container. You can feel good knowing this gift will probably get used most days of the week. Get this glass food storage set here. An enameled cast-iron skillet is a much-appreciated kitchen appliance because it’s easy to clean and naturally nonstick (without being toxic!). And unlike regular cast iron skillets, it’s relatively lightweight. This lightweight cast-iron skillet from Essenso is beautiful! And it’s perfect for serving food out of the oven or off the stove. Use it to stir-fry, bake, and sauté. A great feature of this skillet, which solves an issue found with many other cast-iron skillets, is the 4-layer durable enamel. That means it doesn’t need seasoning or special maintenance. It’s also resistant to cracking and rusting. And to top it off, this skillet is ideal for cooking with little or no added fat or oil. So it makes a great gift for someone who’s trying to eat healthier. Get this fabulous skillet here. Besides sharp knives, a quality cutting board is something of a food prep necessity. This classic model is beautiful, reversible, and highly functional. Plus it’s made from a natural material — maple wood. Professional chefs around the world use John Boos high-quality cutting boards. With proper care, this premium cutting board will last for many years. Get this quality cutting board here. Blenders are not all the same. If you’ve ever used a quality one, you know that a powerful blender makes a huge impact and can also save you precious time. If you can afford to get a good one, check out the one below. And if not — don’t stress. A “regular” blender can do most jobs well enough. You may have heard it before, but it really is true: The Vitamix is an outstanding piece of kitchen equipment. This high-performance blender can easily and quickly make smoothies, shakes, and frozen drinks. It also turns whole produce into juice with the fiber left in. The Vitamix is great for hot and cold soups and sauces. Plus it grinds nuts and seeds, makes nut butter, and blends smooth hummus quickly. This space-saving model fits on the counter, even in smaller kitchens. It’s an impressive gift that will save someone a lot of time in the kitchen and is sure to be well-used. Get this top-notch blender here. A food processor is an impressive kitchen helper that can save you time. It’s a bit like having a personal sous chef to chop everything for you! This food processor is a quality food prep tool. Almost 70% of customers on Amazon.com give it five stars. The compact size allows it to fit comfortably on most countertops. The wide-mouth feed tube even allows for large portions, including many whole fruits and veggies. This tool can chop, slice, mix, puree, and knead. Get this powerful yet affordable food processor here. For people who love food — particularly nutritious, health-boosting food — these holiday gift ideas are delicious and are sure to be eaten and enjoyed. Chocolate can be a healthy and sustainable choice, but it matters where you get it from. Equal Exchange is a worker-owned cooperative that is 100% Fair for Life certified, which protects human rights across all stages of production. These truly delicious chocolates, including several dark chocolate varieties, are rich in flavor. They’re also organic and sustainable — produced with no synthetic pesticides or fertilizers. This indulgent yet conscious gift will put a smile on any chocolate lover’s face. And it’s a healthier choice than most holiday treats. Choose among the many delicious options for this high-quality, fair-trade-certified chocolate here. Who says plant-powered eaters can’t have delicious, gourmet cheese? Punk Rawk Labs creates healthy, probiotic, dairy-free “cheese” products that taste amazing. This US-based business grew from one woman’s journey to regain her health after a serious illness. These “cheeses” have smooth textures and authentic umami flavors. And they make a great healthier alternative to cheeses made from dairy. This gift will surprise and delight just about anyone and can make a great holiday appetizer, too. Get this impressive, handcrafted, plant-based “cheese” here. Mushroom powders make it easy to get the incredible health benefits of mushrooms abundantly and frequently. 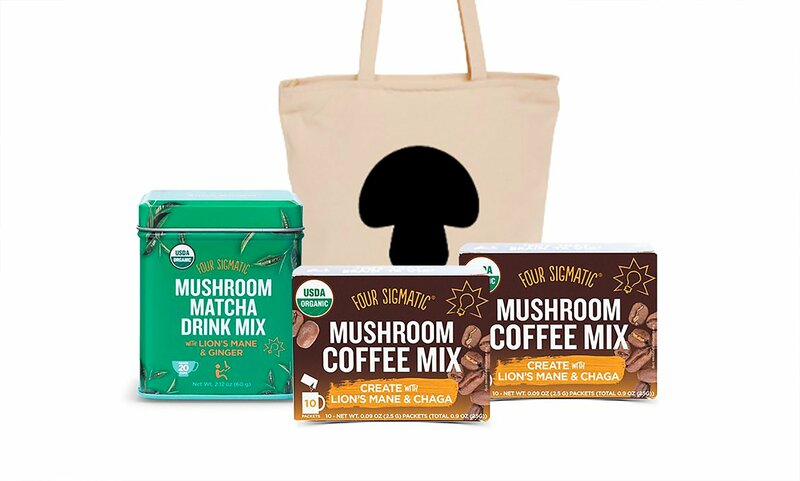 Four Sigmatic offers impressive and delicious mushroom coffee, mushroom matcha, mushroom hot cocoa, and more. To consume their powders, simply mix and sip — making them perfect for enjoying on the go. You can choose from two kits, allowing someone to get a taste of many products — and allowing you to save money on your purchase. 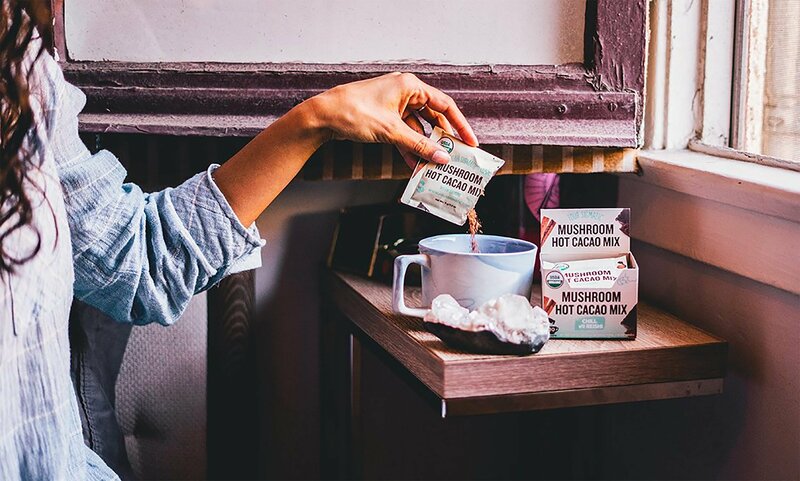 The Mushroom Starter Kit gives someone a taste of what it means to have a daily mushroom protocol: Get it here. The Daily Productivity Kit supports productivity, focus, and creativity: Get it here. Support a loved one’s goal to make healthy lifestyle changes. This membership-based retail website offers natural and organic products at discounted prices. Thrive Market makes shopping healthier, affordable, and easy. (Order online, and everything comes to your doorstep.) A $60 gift card will cover the cost of an annual membership. (For U.S. customers only.) Get a Thrive Market gift card here. Know someone who loves tea (or a good warm beverage) and would appreciate a convenient, high-quality, and fabulous-tasting tea? Pique Tea uses cold-brew crystallization to extract 12 times more antioxidants than many other teas. Their unique tea crystals, created from loose-leaf teas, are easy to enjoy. Simply dissolve in warm or cold water, making these teas a perfect on-the-go or travel option. Plus the company triple checks all its sourcing to avoid harmful ingredients. Their Gift of Health Bundle offers a 28-day protocol for fabulous, long-term gut health. This collection includes a variety of black and green teas and herbal elixirs, as well as two limited-edition holiday flavors — immunity-supporting Sacred Lily Oolong and antioxidant-powerhouse White Peony. This holiday season only, you can get 14% off plus free shipping (for U.S. customers only). 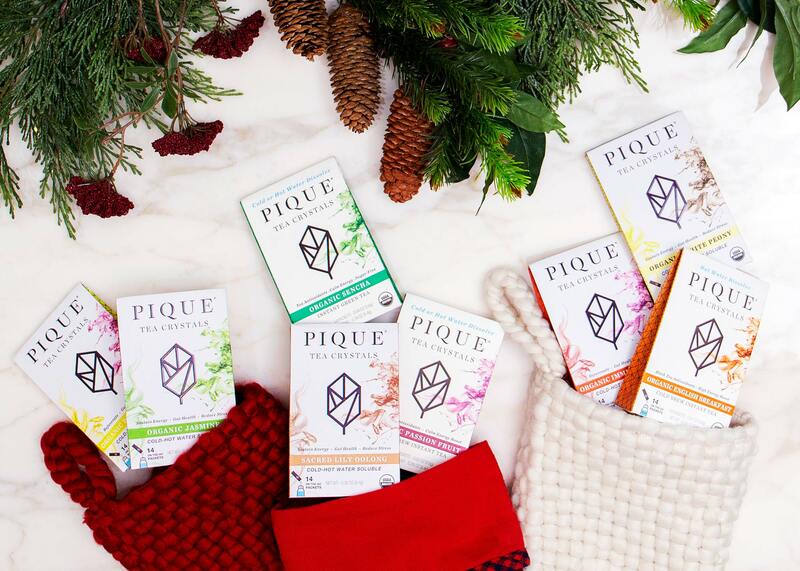 Save $31 on Pique Tea’s Gift of Health Bundle here. People who are serious about their health and about healthy, ethical, sustainable food for everyone will appreciate these holiday gift ideas. We’re so excited that Ocean’s book will be released very soon! He’s been working on it for years, and it’s already getting rave reviews. Check them out here. If you have someone in your life who loves food, or who wants to be healthy (who doesn’t, right?! ), then this could be the perfect gift. It’s a simple, easy-to-follow roadmap to healthy, ethical, and sustainable food. This book will be available February 5th. By pre-ordering now, you encourage stores to stock it, which can help it reach many more people in the future! Who do you know in your life with whom you’d like to share the food revolution? 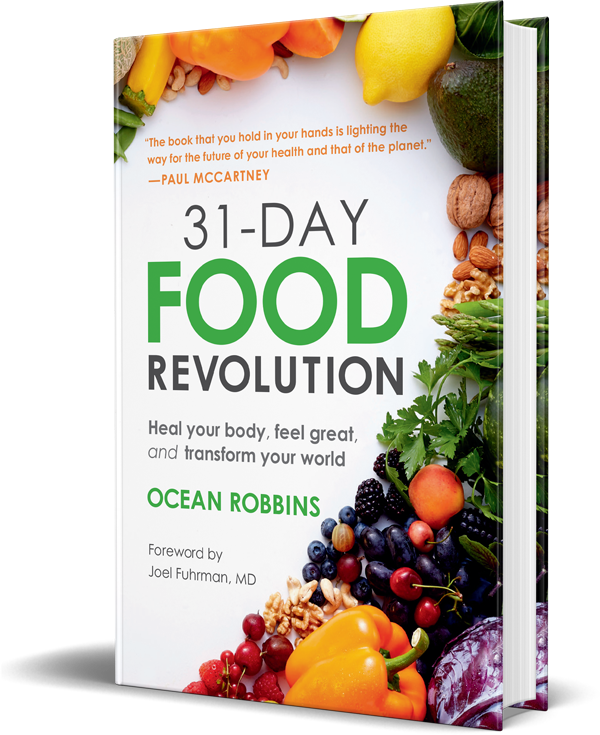 Pre-order Ocean’s book, 31-Day Food Revolution on Amazon as a gift. Or click here to order it from a local independent bookstore and to take advantage of some fabulous bonuses. Turmeric is a spice with remarkable benefits — from suppressing unwanted inflammation and reducing some types of pain to supporting brain health and disease prevention. But unfortunately, human bodies aren’t always able to absorb curcumin (the primary active component in turmeric) optimally on their own. That’s why Curcumin Gold is such a breakthrough development. The micelle liposomal delivery increases curcumin absorption up to 185 times. This supplement also has brain-nourishing DHA and health-boosting ginger. Many people will enjoy this easy, delicious way of getting the benefits of turmeric. Give this gift to help restore health and vitality to yourself or to someone you love. Get this potent, anti-inflammatory supplement for a reduced price (specially offered for the Food Revolution Network community) here. The air we breathe makes a huge difference for our health. But did you know that indoor air in the U.S. can be up to 100 times more polluted than outdoor air? A quality air filter is important, but most can easily cost $1,000 or more. Especially for the price, the Air Doctor removes an impressive amount of contaminants. Give the gift of fresh, clean air to someone — and they’ll thank you for years to come. Get this high-quality, affordable home air filter (at a special discount for Food Revolution Network members) here. Water is life. But many people are drinking tap water that has risky and toxic chemicals. Research has found contaminants, such as chlorine, drug residues, and cancer-causing chromium-6, in the drinking water of millions of Americans. The solution? A quality water filter can go a long way in helping keep families safe. Many of our members love the AquaTru for an effective and inexpensive way to enjoy clean water that tastes amazing. This high-quality water filter could make a meaningful gift for anyone who doesn’t already drink filtered water. Get the AquaTru water filter (at a special discount for Food Revolution Network members) here. 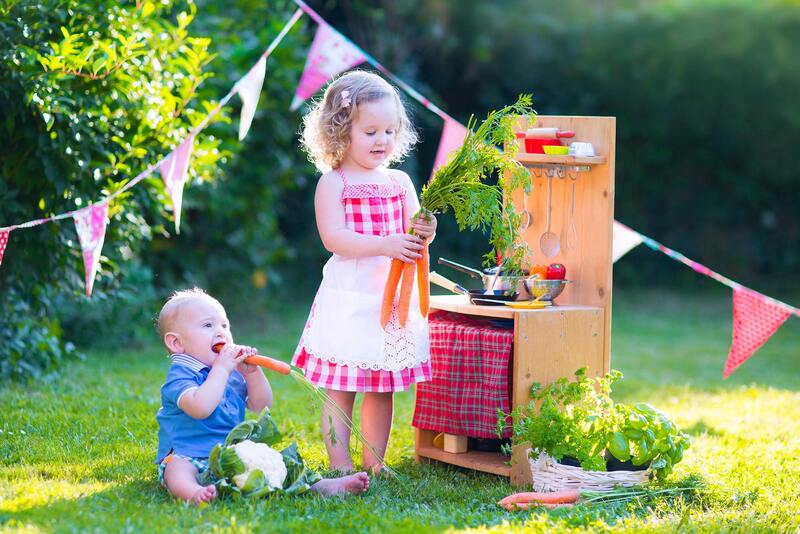 It’s never too soon to start teaching kids about healthy, ethical, sustainable food! Here are some great ideas for the next generation of Food Revolutionaries. This cute, funny, and beautifully illustrated book can help introduce kids to healthy eating and eating in moderation. Gregory is a goat who doesn’t eat like most goats. He’s a picky eater, and his parents do their best to get him to change his ways. This story is sure to become a favorite that readers may remember for years to come. Get this great book here. The vibrant, beautiful illustrations make fruits and veggies appealing. This picture book helps present the world of plant food to kids in an easily accessible manner. It may even inspire them, or their parents, to want to try new foods. Get this beautiful book here. A simple yet beautiful rhyming book that teaches kids the alphabet with a focus on fruits and vegetables. It’s colorful, fun, and grabs a kids attention. Get it here. This story follows an unlikely friendship, with adventure and discovery at every turn. Can you change fate? Is change possible? This book is enjoyable, with beautiful pictures and a good story that invites questions and learning. Get this book here. The whole family can wear matching holiday pajamas! Burt’s Bees Baby has soft, breathable, durable sizes for everyone from babies to toddlers to adults and matching bandanas for the family dog. These comfy clothes are made of pure, 100% organic cotton. They’re also backed by the Global Organic Textile Standard — the worldwide leading standard for environmentally and socially responsible processing of organic fibers. These comfortable, award-winning PJs are one of Oprah’s Favorite Things for 2018. Get matching holiday pajamas here. Give kids a boost with this useful tool. This handmade tower puts children at the right height to learn and cook with their parents in the kitchen. A beautiful, durable, and strong product made of wood. Get this high-quality stool from Etsy here. Do you have someone on your list who loves all things natural and organic? Any of these holiday gift ideas will put a smile on their face! Gardening is not only good for you; it’s also a great way to save money and connect with nature. If you know someone who grows their own food or wants to, consider giving the gift of organic seeds. GrowOrganic.com strives to offer the best selection of organic and natural gardening supplies. They have 100% certified non-GMO and organic seeds. Visit GrowOrganic.com here. Here’s a holiday gift idea that will bring more nature and wellness into someone’s life. 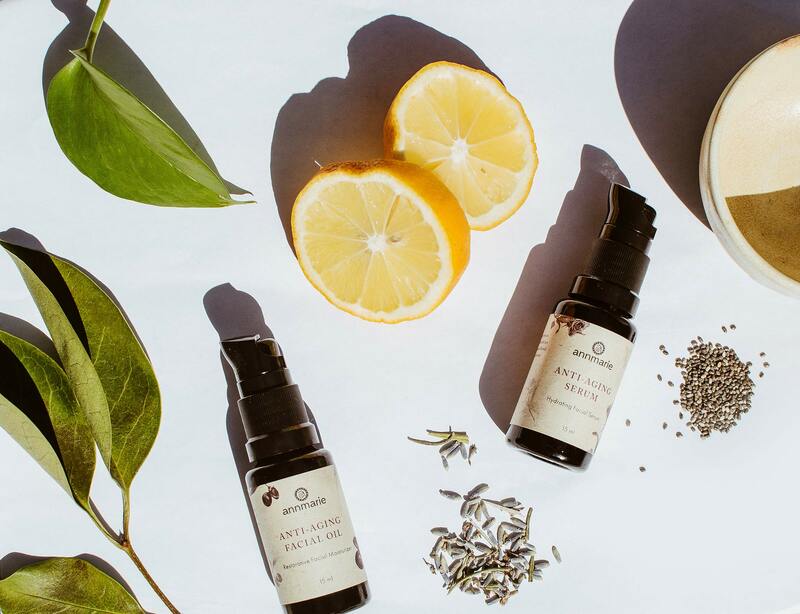 This subscription box includes curated botanicals and wildcrafted, organic, and nature-inspired goods. It also comes with tips to help enrich your connection to the natural world. Each box is a surprise and features six to eight organic, zero-waste, fair-trade products. Items range from skincare, books, teas, snacks, accessories, bath, and other products from small businesses, makers, and artisans in the U.S. and Canada. EarthLove donates a portion of each purchase to a different nature-based cause each season. Learn more and get the box here. Give someone the gift of natural, organic, chemical-free skincare, makeup, and essential oils. Annmarie Skin Care offers skincare made from wildcrafted ingredients that promise beautiful, glowing skin. Their products are non-GMO, fair trade, gluten-free, and they never test on animals. For $9.99, you can get Annmarie Skin Care’s 3-Step Restore Trial Kit. The kit (a $56.00 value) includes their Aloe-Herb Cleanser, Neroli Toning Mist, and Anti-Aging Oil. Get the trial kit, and find out more about Annmarie Skin Care’s high-quality beauty products, here. This super soft and comfortable clothing is consciously crafted with organic cotton. Pact believes in creating clothing differently. They use sustainable materials, kindness towards humans, and the softest clothing for every layer. The company invites and encourages consumers to become more aware of the impact of their shopping decisions. And more importantly, to ask questions like “who made my clothes?” and “what are they made from?”. Everyone will want to wear these head-to-toe basics. Check out the consciously made clothes from Pact Organic Clothing on their website here. Anyone can feel good wearing Synergy Organic Clothing. Inspired by the beautiful fabrics and textiles of Southeast Asia, this clothing line strives to empower consumers to make more purposeful choices in the clothing they buy and wear. This family-operated business is committed to producing clothing with the highest environmental and ethical principles. Made with GOTS-certified organic cotton, which has a lower impact on the environment and doesn’t use toxic pesticides or synthetic fertilizers, and low-impact dyes — these are elevated, high-quality garments that also empower the people who made them. See what Synergy Organic Clothing has to offer on their website here. Everyone cleans. But you may not realize the major impacts cleaners and laundry detergents have on air quality and health. In fact, not only does the food we eat have the power to rob us of good health or to cultivate it but, so too, do the cleaning products we use in our homes. Branch Basics makes cleaning simple, affordable, and sustainable. Their refillable, fragrance-free products are less expensive than similar single-use plastics. And they can tackle every room in the house effectively. Everyone can benefit from healthy cleaning. Check out the safe, sustainable cleaners from Branch Basics here. These holiday gift ideas are perfect for celebrating those who love animal friends of all kinds. For the people who adore their animal pals, Gretchen Louise Tisch is an artist who creates colorful custom pet paintings. 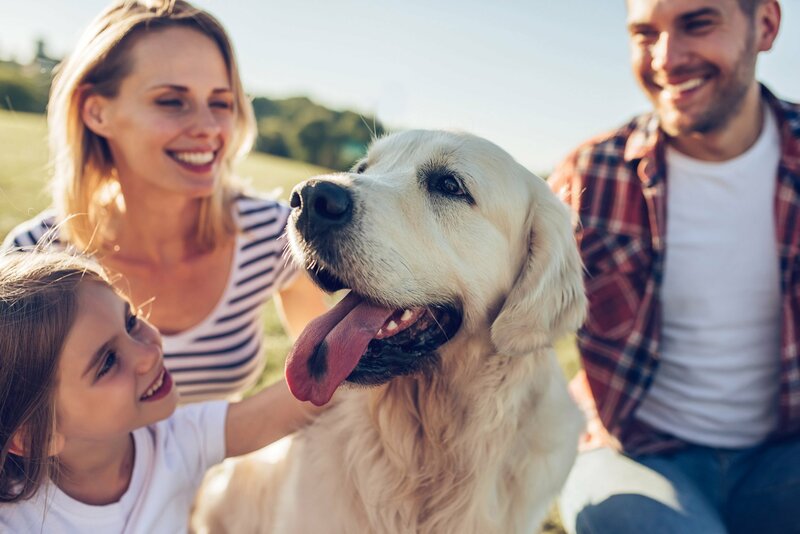 All you need to do is send her a picture of a special pup or cat, and she’ll create bright, beautiful, artistic paintings that owners are sure to love. Check out her work and order a pet portrait from her website here. Toys can keep dogs and cats happy, healthy, and entertained. Earth Animal has a variety of dog and cat toys made of safe, non-toxic materials. These toys are long-lasting, durable, and totally fun for owners and their furry friends. See what they offer and get dog toys here and cat toys here. Giving and receiving gifts can be great. But giving to charity, especially in honor of a loved one, can be a fabulous way of supporting causes that you, and they, believe in. Food choices can support good health or harm it. Yet most Western-trained physicians practice medicine as if food has no effect on the diseases they seek to cure. Why is the power of nutrition not being taught in medical schools? To address this concern, food revolutionary Michael Klaper, MD, is joining with PlantPure Communities (a nonprofit organization founded by Nelson Campbell, son of Dr. T. Colin Campbell author of The China Study) to launch a new education and action campaign. Moving Medicine Forward will bring the revolutionary power of plant-based nutrition and lifestyle medicine to medical schools across North America. Dr. Klaper plans to create courses in plant-based nutrition for health professionals; to make live presentations at medical schools; to encourage students and faculty to form Nutrition Interest Groups at each school; and to work with faculty members to encourage each medical school to create their own courses in nutrition. If you want to help awaken tomorrow’s physicians to the power of plant-powered healing, you can learn more and donate here. And if the spirit moves you, you can donate here. To support this cause, you can donate here. And if you want to support their work, donate here. This San-Francisco-based nonprofit addresses a wide range of social issues. These issues include food sovereignty, the prison-industrial complex, and unequal educational opportunities. Planting Justice educates people about environmental sustainability and builds urban permaculture gardens. They also assist inmates in finding well-paying jobs after they serve their sentences. Planting Justice even employs ex-convicts to encourage community involvement in food sustainability. Donate to their work here. This US-wide nonprofit is a legal and consumer advocacy group that works to protect human health and the environment. 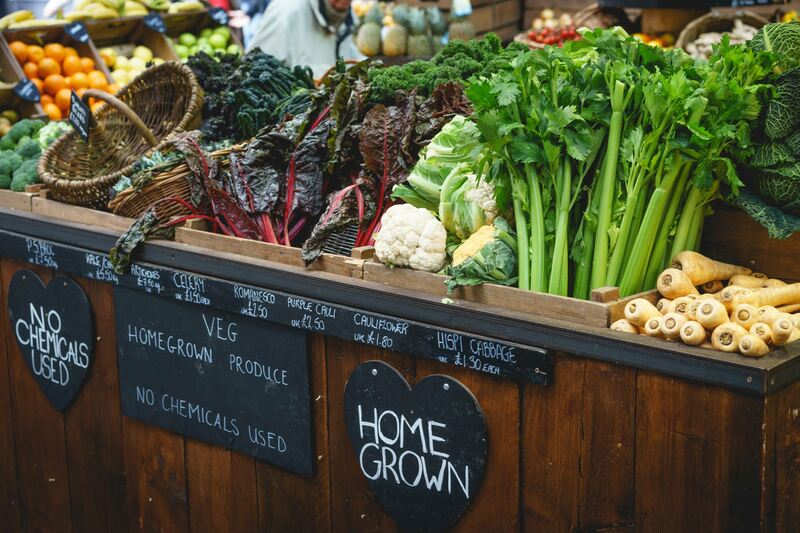 By promoting organic and other forms of sustainable agriculture, Center for Food Safety aims to curb the use of harmful food production technologies. And they educate consumers about organic food and products. In addition to legal actions, scientific and policy reports, books, and other educational materials, they also use market pressure and grassroots campaigns. Support their important work by donating here. Giving great gifts can be a wonderful way to show others how much you love and appreciate them. But the best thing you can give is yourself. Be sure to spend quality time with your friends and family. 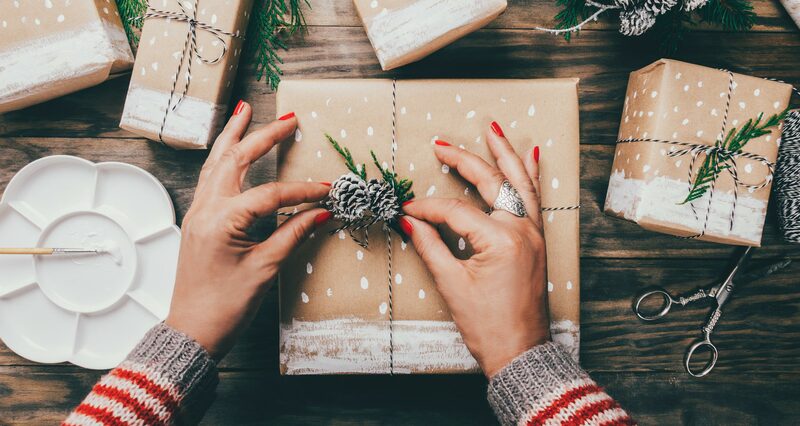 What great gifts do you plan to give this year? How do you like to make the holidays special?